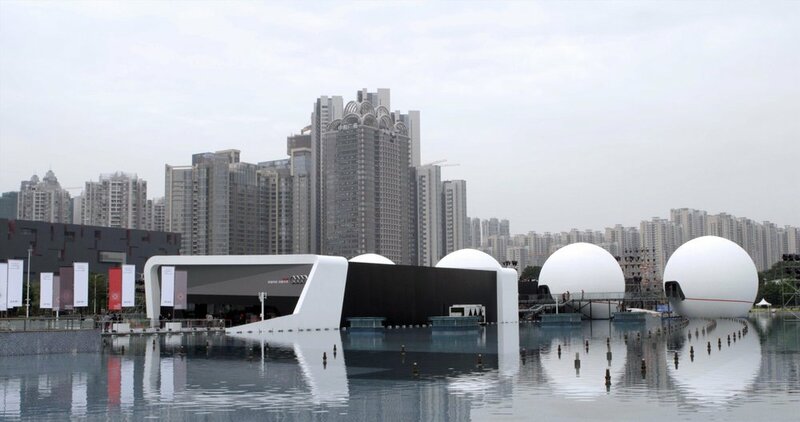 At the occasion of the Innovation Exhibition on Haixinsha Island in the heart of Guangzhou (China), Marc Hungerbuhler from the Artist Network and German car manufacturer Audi A.G. commissioned Sebastien Leon to create an installation reacting to Audi's technological innovations. Sebastien Leon filled a spherical room fifteen meters in diameter with over a thousand silver foil balloons, some filled with air and others with helium, all reflecting a hypnotic image of the car, the room and its visitors. 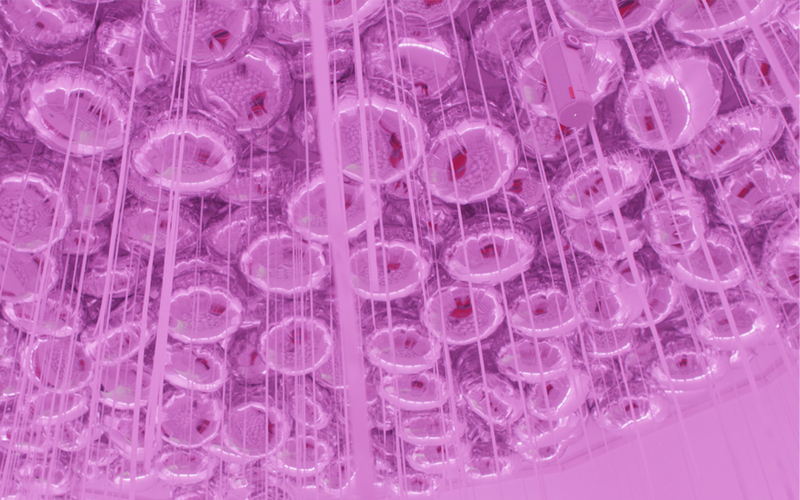 Floating on the ceiling, fifteen wireless speakers play an electronic symphonic dialogue of filtered industrial sounds mixed with the songs of thirty different birds. Sebastien Leon’s installation hence acts as a meditative dialogue between Audi A.G. and the Chinese public, provoking a reflection on the balance between industrial development and the environment, as well as the role we play as individuals in this fine symbiosis.